The little pink book of hairstyles known as the Blo hair menu. 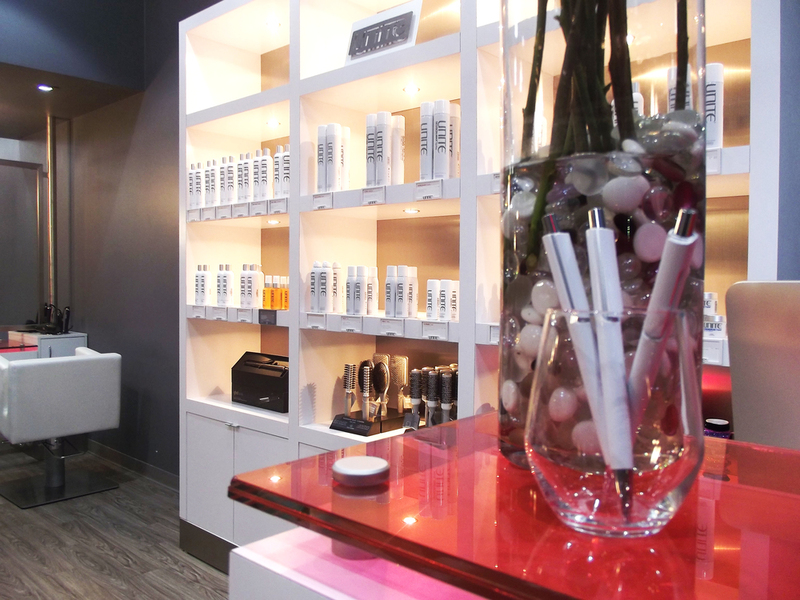 Earlier this week, I was contacted by the Chief Style Boss at the new Blo blow-dry bar on Knox in Dallas. I'd heard about their grand opening last weekend but, honestly, I've never paid blow-dry bars in general any attention because I've heard a few horror stories about them with natural African-American hair. There are also some amazing results if you look on Google, too -- they're not all terrible! So when I was invited to experience Blo for myself, I was extremely apprehensive. I accepted the invitation and set up my appointment. I expressed my concerns about working with a stylist who specialized in African-American hair, but was still so nervous! However, although I was nervous, I couldn't help but to be excited and anxious at the same time. Since the hair blunder I experienced a little over a year ago (it's a long, terrifying story), I haven't straightened my hair since. I was excited to see my hair's growth after all this time! A view of the lobby area. Everything looked so clean with pops of pink everywhere! When I arrived, I checked in at the receptionist desk and was handed a hair menu (see above) and something to drink while I waited. After a few moments of waiting, I was greeted by my stylist and she walked me to her station to get a better look at my hair. She then led me to the wash bowls towards the back of the salon where she washed (the product smelled heavenly) and conditioned my hair! When my hairstylist took the time to detangle my hair, I felt so much more comfortable and knew that she understood how to work with my hair. All tense feelings were pretty much gone at that point! The wash area which is stocked with fresh towels and products. After about 7 minutes at the wash bowl, my stylist wrapped my hair in a towel and led me back to her station where all the blow-drying and styling take place! She added heat protectant products before sectioning/clipping my hair then began the process with a blowdryer and round brush. I've never used a round brush on my hair before, so I was a tad nervous about that...but since my hair was detangled, it ran pretty smoothly through my hair. Once she had my entire head blowdried, she flat ironed me and added waves to style. The entire process for me took about 2 hours. The stylist stations -- there are about 2 stylists to a bar. Blo uses UNITE hair products which are for sale in a closet near the receptionist desk -- there are also brushes available. When you go to a new hairstylist, there's always that moment of fear before you look in the mirror to check out the work that took a couple of hours to achieve. I looked in the mirror and was SO pleased with my stylist's work. It wasn't the bone straight look that I'm used to -- there was so much volume in the most fabulous way! Before my Blo experience with a 5 day old twist-out. The day after my Blo experience. I had beach waves, but I flat ironed them out. I'm so glad that my first blow-dry experience was amazing. I went in expecting every worst-case scenario in the book and walked out with beautifully blown-out tresses! For an affordable $40, I'll most certainly be returning, but I'm not sure how often just yet. 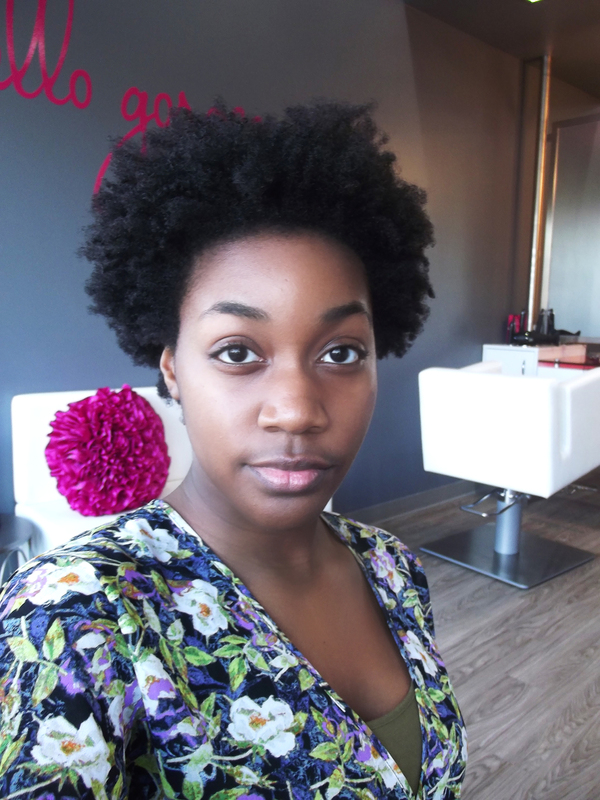 If you're natural and have been thinking about going to a blow-dry bar, go for it! Just do your research and find a stylist that you're comfortable with! See my hair in action -- Check out my YouTube video! 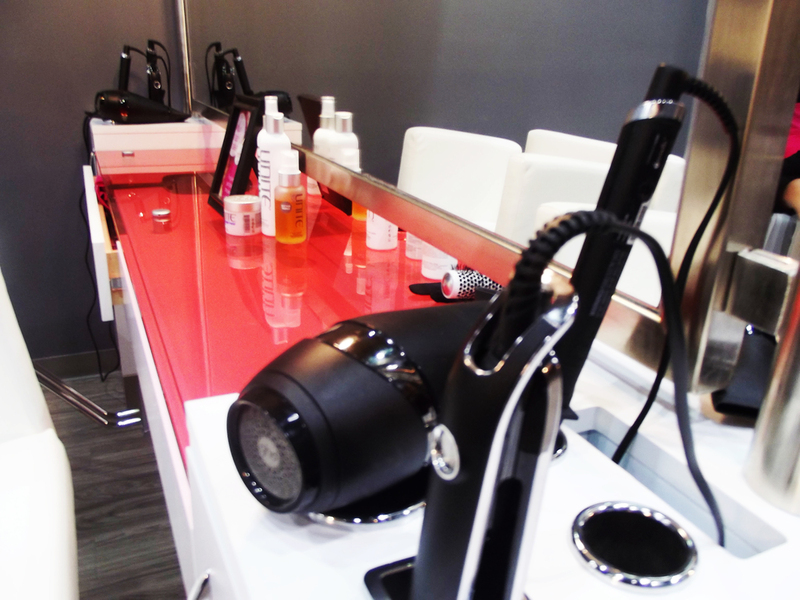 Have you been to a blow-dry bar or thinking about trying one? How was your experience? Disclaimer: Blo did reach out to me to try this complimentary service, but all opinions are completely my own. The Fashion Geek turns 2 today!